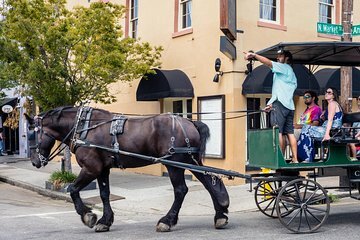 See Charleston sights, learn a bit of history, and discover the legacy of black history and culture in the Lowcountry on this Charleston horse and carriage tour. This tour specifically looks at the history of African and African American cultures in the Lowcountry, from the horrors of slavery to the creation of Charleston’s first free communities. Travel by horse and buggy to sights including Mother Emanuel AME while your guide shares pieces of history that are often overlooked.